Hello and Happy Poetry Friday! Be sure to visit Kiesha at Whispers from the Ridge for Roundup. Today marks the two year anniversary of my father's death. One of the biggest surprises in my life is how my relationship with my father continues to evolve. So many things continue to make me feel close to him, and I love the ways he continues to "live." ... Or seeing my father's words in print as I did when Birmingham Arts Journal ran my father's story about his hometown of Port St. Joe, FL (a paper-mill town) titled "A Smell of Sulfur" (You can read it here, p. 12.)... these things help me feel connected to him. "I must also share with you a special story about your Dad, which occurred after his death. C, my husband, was in the St. A’s emergency room, close to dying, and in and out of consciousness, when he suddenly said he was visiting with Ken Dykes. He could see him as well. He was very comforted by that experience - as was I. Your Dad was a comfort to so many, at the Cancer Center and at St. Georges, and we treasured our friendship with him. I wanted you to know that he brought comfort to C, even after death. C himself died a few weeks after that emergency room stay." Thinking of my father somewhere waiting for me -- and comforting others along the way -- just destroys me and uplifts me. I have found so much comfort in that. Any writer would love reading these words: "Every story that he has written comes to life." That's the goal, isn't it? 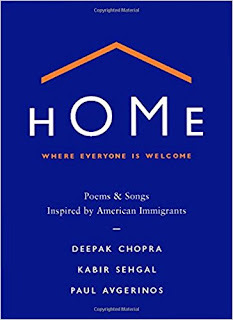 And now I'd like to share a poem I discovered in HOME: Where Everyone is Welcome: Poems & Songs Inspired by American Immigrants by Deepak Chopra, Kabir Sehgal, Paul Avgerinos. 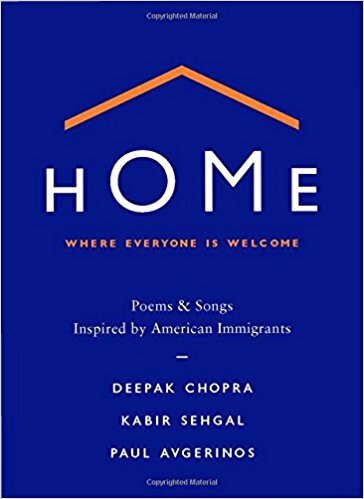 I learned about this book on a Poetry Friday Roundup earlier this year (though I can't remember who posted about it... maybe Diane?) To whomever: THANK YOU! Oh, my goodness...your post that I have read right after Catherine Flynn's feels like an echo. Her poem is about her grandmother and how she exists in her heart. I commented on how much I crave time with my grandmothers...and then I came here and it's very similar in thought. Bringing stories alive is, to me, the highest achievement. It is better than any medal or honor or other accomplishment. That you shared and continue to share that with your Dad is truly a gift and a blessing of sacred order. Thank you for sharing a bit of him today as you remember his passing. I'll be thinking of my loved ones too. Glad you have your dad's stories. I should do that. 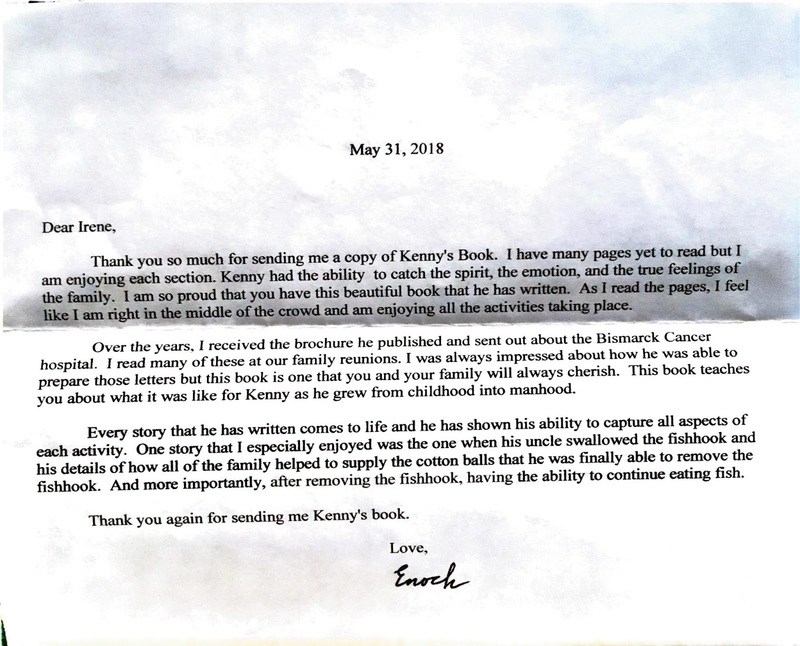 It's a post full of love, Irene, and marked with the part of you that "is" your father, poignant caring for people and attention to good words that describe exactly a feeling of place and people. I loved reading his piece about his mill town, grew up in a similar place where some were "on the other side of the tracks". Hugs to you this day, and for celebrating your dad and stories. What a beautiful post, with the perfect poem to echo the sentiment of all your words. I love hearing about your father's ongoing presence in your life -- making itself known in different ways. Fabulous that you continue to share his stories, too. This is such a powerful post for me - the first anniversary of my dad's passing is coming up in a few months, and it's still so raw, but like you, I have been finding such comfort in moments that bring me closer to him. Your memory post and Catherine's memory post, and then Ruth's goodbye poems...what a resonant Poetry Friday roundup this week! 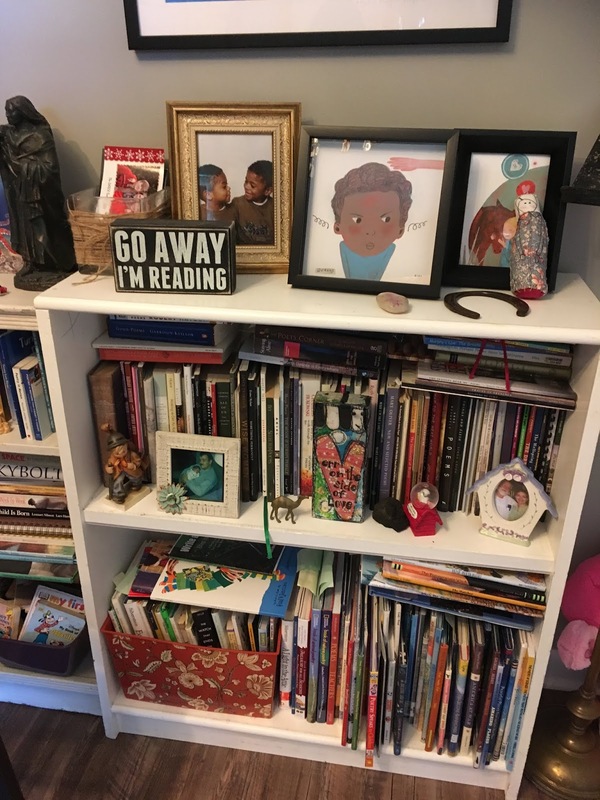 Today I unpacked some of the treasures I brought back from the storage unit (that lives where the wind blows in my poem). I love having my great grandmother's tea cups and my grandmother's butter dish just there on the shelf where I can see and feel the connections to my ancestors every day. My dad was diagnosed with stomach cancer 25 years ago this week, and died six months later. June is still a hard month for me, and I still think about my dad every single day. I love "Father." Amazing how they live inside of us. 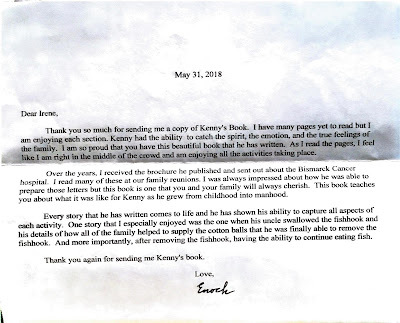 Irene, your love for your dad and your continuing connection to him have me appreciating even more that my own dad and mom have just moved much closer--15 minutes away. I plan to make the most of our time together. Love that rocker! Thanks for sharing these wonderful words. It is surprising and comforting how our loved ones stay a part of us as we continue our journey. 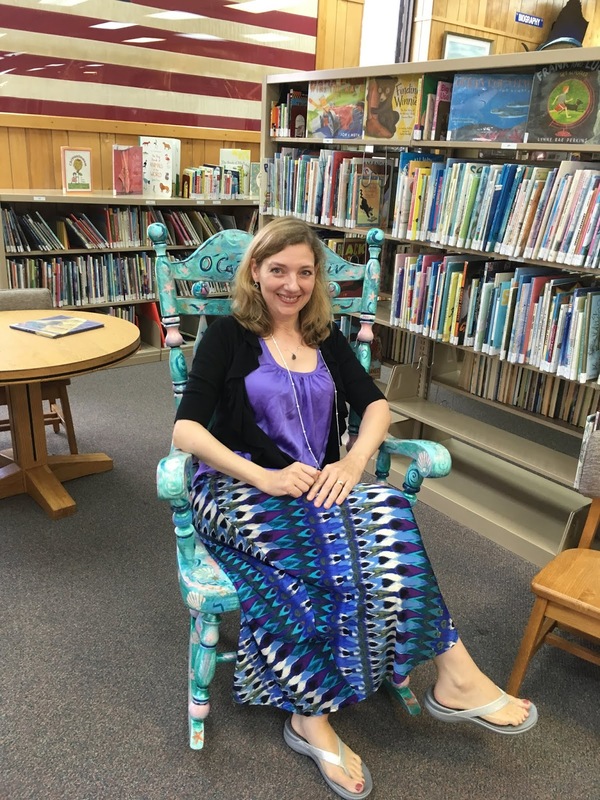 And that chair--love it! Your post made me think of Janet Wong's poem, "The Ones They Loved the Most" in her book, Night Garden. What a blessing to hear this story of your dad bringing comfort even after death. Our loved ones continue to influence our lives, and you're lucky to have such a close relationship with your father. Beautiful post, Irene. You will carry your dad with you always. I love the story of your dad's friend's vision. How comforting and affirming that our loved ones will welcome us one day. This is a beautiful poem.